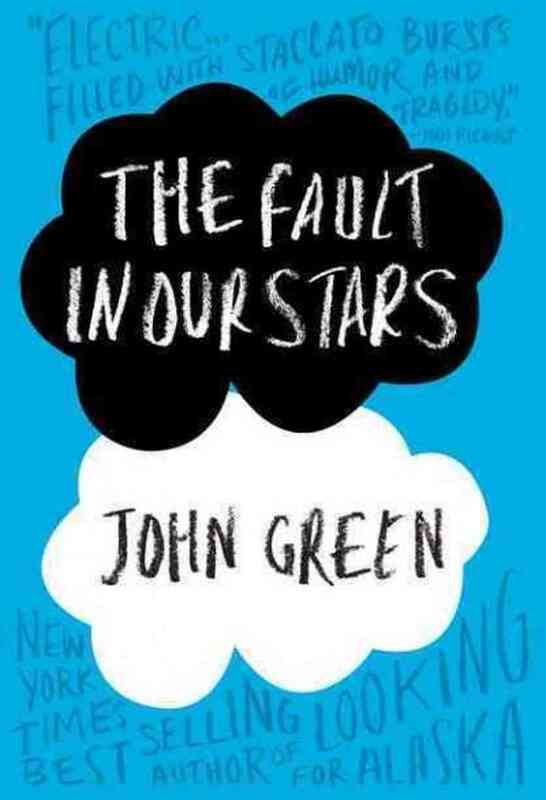 The Fault in our Stars, put quite simply is about Cancer. The main protagonist is sixteen year old Hazel Grace Lancaster. She is suffering from terminal cancer. The story centres on her life and her families, as well as the people she meets in a Cancer support group. One of whom is seventeen year old Augustus Waters. I can’t really reveal much more without giving the story away. This is not so much an author’s note but an author’s reminder of what was printed in small type a few pages ago: This book is a work of fiction. I made it up. Neither novels or their readers benefit from attempts to divine whether any facts hide inside a story. Such efforts attack the very idea that made-up stories can matter, which is sort of the foundational assumption of our species. I appreciate your cooperation in this matter. I agree with Green in the sense that for all my years of schooling I never understood why in my English classes we had to review and critique and analyse people’s novels and poems and movies. I used to come home from school and tell my Mum that maybe people just wanted to write something or make a movie because they felt like it. Not because they wanted to reach someone, or because they wanted you to realise the foreshadowing techniques they used, or how much onomatopoeia was really in the story, or why they told the story in first person and not third person. So although our task as BookGossips is to read, review and critique literary work I am going to respect the author’s wishes in regards to this novel. That does that mean that I will not give you my opinion, it just means that I will not critique and review Green’s writing style, his use of writing techniques or try to uncover the hidden themes in the novel. I will instead just share with you my thoughts and opinions. Okay, so you pick this book up knowing that it is about Cancer, knowing that it will be sad, and maybe someone will die. But what you are not prepared for is the way you will feel upon completion of this story. I felt a complete swirl of emotion. In some ways I felt completely devastated, but mostly I felt pensive to the point that I have this new found appreciation for the universe and for life. This book was so emotionally draining that I could only read a few pages at a time to begin with. Then I had to leave it for a while, do something else and go back to it. I found it utterly depressing to begin with. This is the only book I have ever read where I didn’t want to skip ahead and find out the ending, as I knew that it surely could not have a happy one. I persevered though, and I am glad that I did, as by the end I felt that I owed it the characters to finish their story. I loved how this novel used many references to other literary texts and theorists. I am a person that appreciates the value of inspirational quotes, so I especially liked how Augustus had a house full of them. The revelation that the title of the book is in reference to a Shakespearian quote made me think and re-think about the title so much more. The use of these references speaks volumes about the authors own literary knowledge, as well as explaining the incredible intellect of the characters. A final note, this book has been listed on the Children’s Bestseller list! I cannot understand that, as I do not know a child or adolescent who would be ready to read and deal with this story. I as an adult had a difficult time reading and dealing with this story. So to the people who write Bestseller lists, I recommend you take it off and move it to adult Bestsellers. This book made me shed actual tears. I have only cried reading one other book in my lifetime, and that was when I was pre-pubescent and it was the cool thing to do, so it doesn’t really count. That aside this is a gut-wrenchingly hard read. This is not a book to be taken lightly. It will leave you reeling and make you think about it for days upon completion. This entry was posted in 5 Stars, Contemporary Romance, Young Adult and tagged 5 Stars, Book, Book Review, Book Reviews, Books, Cancer, Contemporary Romance, Fiction, Literature, Romance, Young Adult by bookgossips. Bookmark the permalink. Great review :). I LOVED this book :D. I wrote a review and I cried my eyes out. I totally agree with you on everything. I feel the same way about its listings – I have a 15 year old sister and I wouldn’t give this book to her in a million years. She is a bit more sensitive, but still… I’ve read a lot of depressing stuff, but this took the gold medal. Not going to put that on her yet!